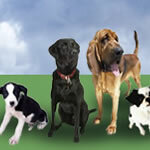 Positive Paw Forward offers puppy and dog training classes. 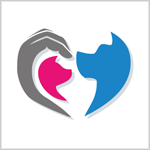 One to one behaviour consultations and one to one training sessions for owner and dog. 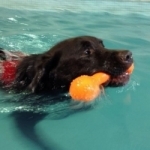 At Acive Paws we offer a wide range of training classes for dogs of any age and stage in life as well as one to one training. Our COAPE qualified behaviourists can help with a wide range of challenging behaviours. Call us on 01865 400408 to discuss your requirements and we will help you find the right option for you and your dog. I am a cat specialist. As well as a COAPE diploma, I have a first class degree in applied animal behaviour and I have written several best selling cat books. I have a masters degree in clinical animal behaviour and I have just completed an Icatcare course on cat behaviour. Cats are not dogs, which is why I do not work with dogs. Cats are sensitive to changes in routine, new animals in the household or nearby. I only work with neutered pet cats. Other COAPE practitioners are expert on breeding cats. 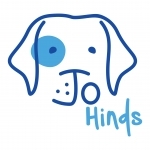 I do behaviour consultations, on vet's referral only, within a 30 mile radius of Witney. Occasionally further. A full questionnaire and a visit to your house/flat is essential. Currently I can only do a limited amount of casework. I can help with house soiling, litter tray problems, and aggression. A stress reduction programme for cats with recurrent idiopathic cystitis can also be helpful.I cannot help reduce killing wildlife, which is natural behaviour. I can offer a free science-based talk on common cat behaviour problems for veterinary surgeries in my area and I have lectured at Oxford University adult education. My website has referenced details of husbandry and behaviour for cats, rabbits, guinea pigs and hamsters. All FREE. 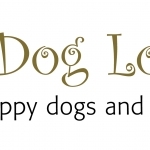 1-to-1 dog training & behaviour consultations. Home visits throughout Bedfordshire and Hertfordshire. Fun, friendly training tailored to your needs. Good Citizen Listed Status school. Training and advice for dogs including helping you to understand your puppy and its needs. 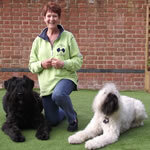 I offer 1-2-1 and workshops in Behaviour, Tellington TTouch, Canine Fitness and puppy training to help your dog. 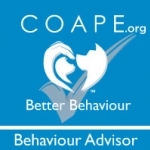 I am a qualified COAPE Certified Animal Behaviourist and Companion Animal Tellington TTouch Practitioner. I am now a FitPAWS Master Trainer and Certified Canine Fitness Trainer (CCFT). Also a APDT member 01172. I own three English Springer Spaniels and have an interest in dogs with fear behavioural problems and general fitness and wellbeing. I'm based in NN29, East Northants, but can consider doing home visits in North Cambridgeshire, And North Bedfordshire and Milton Keynes. 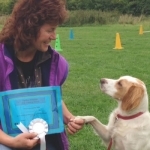 Professional Dog Trainer and Behaviourist with over ten years training experience. 1-2-1 behavioural visits carried out in your own home or a suitable outdoor location. 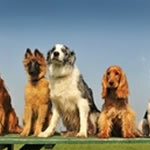 Dog training classes also offered in Worcestershire covering: Worcester, Malvern, stourport, Kidderminster, Droitwich. Puppy, and progression classes as well as outdoor recall classes. Rehabilitation groups run occasionally. Fun agility classes run during the daytimes, evenings and weekends. 1-2-1s or groups. All instructors are APDT members or working towards their qualification. I offer a range of 1-1 training packages for puppies and dogs that all take place in the comfort of your home at a time to suit you. I am a Qualified Veterinary Nurse with over 20 years experience, and hold the COAPE Diploma in Companion Animal Behaviour and Training. 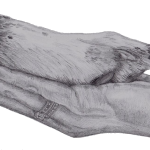 I work in Veterinary Practice and offer Behavioural services to our clients. I have a keen interest in puppy behaviour. 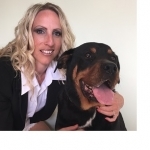 I qualified as a Veterinary Nurse in 1995 and gained my Diploma in Companion Animal Behaviour and training with COAPE in 2004 and completed the Level 5 Diploma in 2016. I am based in North Oxfordshire and I cover parts of Oxfordshire,Warwickshire, Northamptonshire,Buckinghamshire and Gloucestershire.